OSWEGO, NY – The Oswego County Historical Society will host its next lecture entitled “Theodore Irwin: Oswego Industrialist & American Collector” on October 21 at 1:30 p.m. at the Richardson-Bates House Museum at 135 E, Third St., Oswego. Board president Justin White will present the program featuring many photographs illustrating the life of Theodore Irwin. Irwin’s wealth allowed him to amass one of the most important private libraries in America during this lifetime. Among the more significant items in his collection included a Gutenburg Bible and the Golden Gospels of Henry VIII from the tenth century. His collection included many rare pieces of art and prints, as well. Towards the end of his life, Irwin sold many of his most important volumes to famous collector and tycoon J.P. Morgan, which are now in the collection of the famous Morgan Library in New York City. Irwin, along with is wife, Louisa, were charitable members of the community as well. Both were founders of the Home for the Homeless, now known as the Ladies Home of Oswego. A portrait of Louisa Irwin hangs in the Ladies Home and the original is in the collection of the historical society. 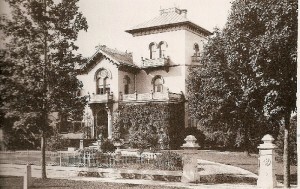 The Irwin estate consisted of a Tuscan Villa mansion that was located at the top of Oak Hill at the southwest corner of East Sixth and Utica streets. “This estate was considered one of the finest in Oswego, and had a view of the entire city from the hilltop,” added White. 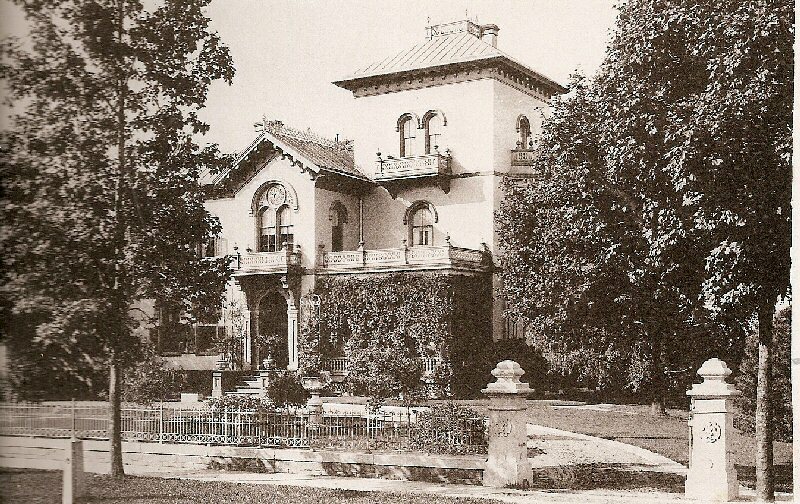 The Irwin residence remained in the hands of the family until 1936 when it was purchased by a local developer. It was subsequently demolished and multiple new dwellings were built on the grounds. The event is free and open to the public with donations accepted. From April to December the museum is open Thursday through Saturday from 1 – 5 p.m. and other days by appointment.